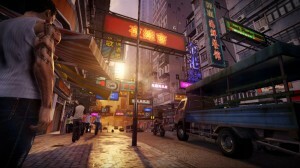 Sleeping Dogs may just be making it’s way towards the PS4 and Xbox One in an apparent “HD” edition. The PC version of Sleeping Dogs. Now, the listing makes no mention of any DLC, but pretty much every HD re-release comes with all the DLC released bundled in with it, so we can expect the same if this is actually released. Sleeping Dogs had it’s fair share of DLC, so that would make the HD bundle a pretty nice pick up for anyone who hasn’t played it. To be honest, I think what is going to happen here is that we may see a confirmation of this on X1 and PS4, but the PC version will remain as is. The PC release already had a HD texture pack released for it, so it’s unlikely we will see a remaster appear on that platform. Tagged with Gaming News, hd, hd remaster, playstation 4, PS4, release, release date, sleeping dogs, square enix, version, x1, xbone, XBox one.